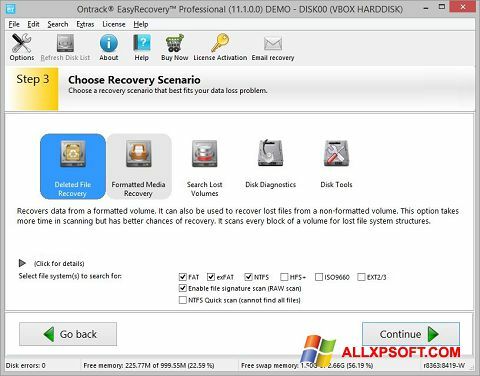 EasyRecovery Professional for Windows XP - software to recover user-lost files on your hard disk. As in the elementary cases of their removal in the "Basket", and in more complex - lost after a virus attack or unsuccessful formatting of the disk. In addition to working with single files, the program makes it possible to recover entire partitions on NTFS and FAT systems by scanning each block to find their tracks. To avoid such problems in the future, you can create an image of your hard disk by copying all the information contained on it. You can free download EasyRecovery Professional official latest version for Windows XP in English. Publisher Software: Ontrack Data International, Inc.